The London 2012 Games are now over, but what an experience they were! Special trips, such as this, set our participants in very unique cultural learning experiences that will never be repeated. 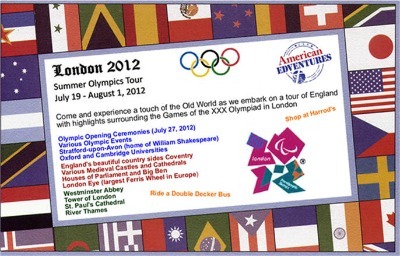 Because the games were centered around the Olympic Park in east London, the tour provided a tour opportunity to the many historical venues of great interest and significance. For that momentous event, London became the site of a number of new sports venues. Up to 180,000 spectators a day entered the Park to enjoy the Games, making it the principal focus of Olympic activity.